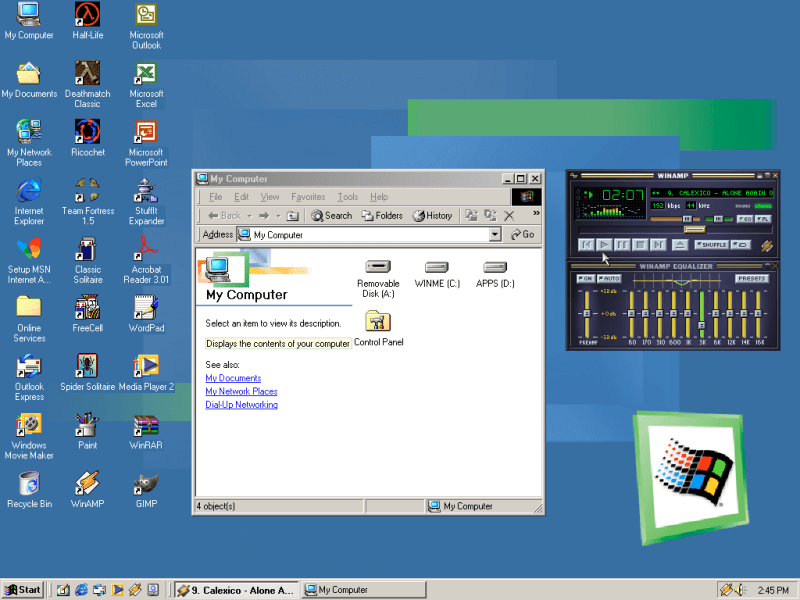 Launched in September 2000, Windows ME is immediately recognized as Microsoft's worst consumer OS, but it brought many new features at the time, not least of which were those mentioned above (automatic Windows updates, system restore and online games). ME was also Microsoft's first OS to boast "fast boot" times of 30 seconds or less and software such as an MSN Messenger-based chat program, a home networking wizard, Windows Movie Maker and more. For all the features Windows ME introduced, native file encryption was not one of them. Fortunately for power users and businesses at the time, Windows 2000 was also available and did provide file system-level encryption courtesy of NTFS 3.0's 'Encrypting File System' (EFS) technology, which allowed any NTFS folder or drive to be encrypted.